Hey Nostradamus! An unexpected book review | Damian Trasler's Secret Blog - Do Not Read! ← How I didn’t make it big….And you could too! 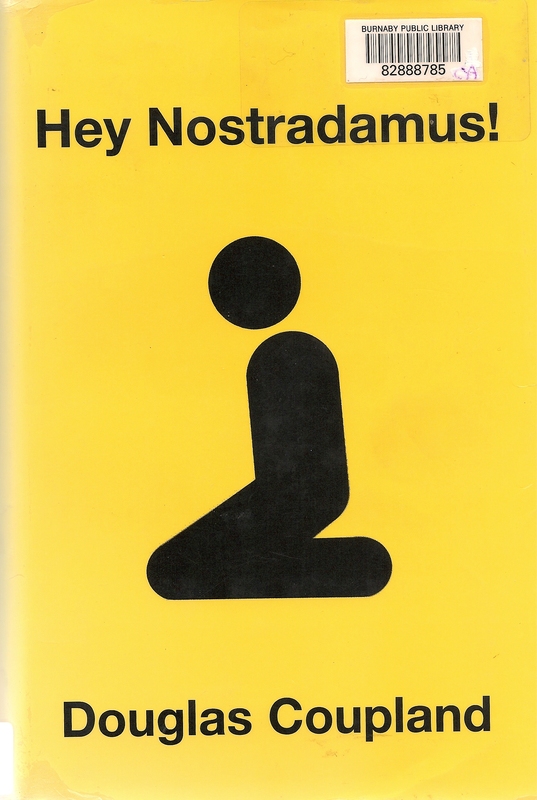 This entry was posted in Writing and tagged book review, Damian Trasler, Douglas Coupland, Hey Nostradamus!, novel, writing. Bookmark the permalink. Great post. I have to say, though, that Nostradamus totally expected this book review. As far as books that I like telling people about, The Sound and the Fury comes to mind right away, especially in response to this post because it’s also written in four voices, one of which is omniscient. I also tend to talk a lot about Flannery O’Connor. Right now I’m reading One Hundred Years of Solitude and really like it so far. The first chapter itself is an amazing model for writers. I can’t believe it took me a day to realise what you’d written in that second sentence (mental headslap!). I have to say, there are days when a hundred years of solitude doesn’t sound like enough…. Well done, sir. Long live the printed page and local libraries! I read the way you do. If it looks like a story is going to take its characters through the pits of life, I check the ending and put the book down if I don’t think it’s worth the downer. I think life’s hard enough; you don’t have to go out of your way to make it harder. There’s been some books I’ve finished anyway because they’re that good, Night and All Quiet on the Western Front being a couple. Since you’re recommending I’ll give this book a try. Thanks. Uh-oh, the pressure’s on! I really enjoyed it, although maybe that’s not the right word. It held me, that’s for sure. The themes of this book are many, but they revolve around life, God, purpose, forgiveness and change. Yeah, that’s a little vague, but there’s so much in this story that I feel it’s unfair to try and pin it down too closely. After reading that I want to read the book. I also like that you didn’t “Tell All ” about the book. I love to read and this book seems like a page turner. Thanks.